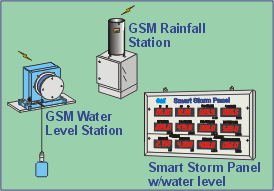 Beyond computer-aided forecast systems, web-based data acquisition systems, ALERT and flood risk assessments, you need the real status of rainstorm around your site to take action for disaster mitigation in time especially for flash flood. 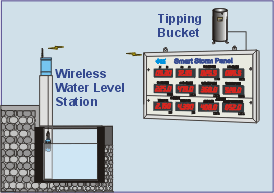 TWSI announced a series of cost-effective local early warning systems for variable applications with the key functions to monitor multiple rainfall intensities and alert at each warning status. Secondary Input water level, soil saturation and digital wire displacement for landslide, etc. Event trigger of water level or displacement monitoring assure the instant of rising.